Join in the apple harvest! 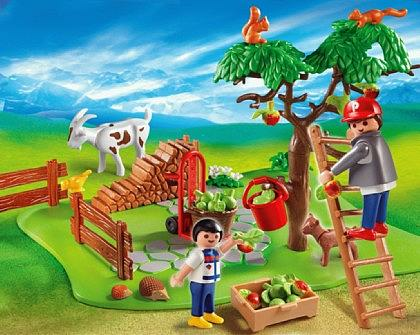 Features farm with apple tree, collapsible trolley, animals, basket, father and son figures. Apples can be picked from the branches! Ages 4+.